Wash the vegetables, wipe with paper towels, and cut into thick slices. Grease lightly an oven dish. 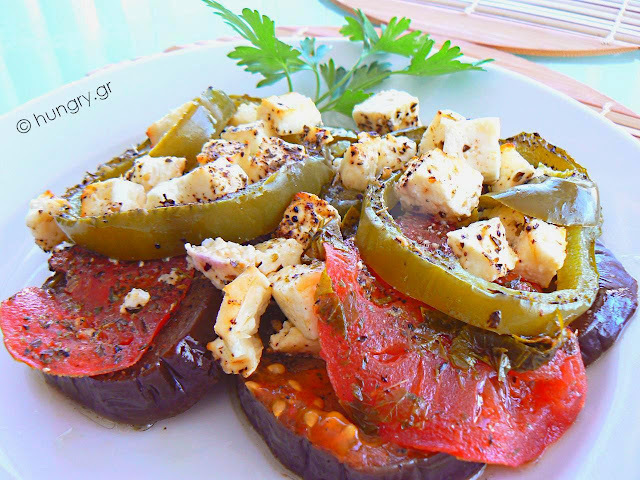 Place a layer of eggplant slices. On top put a layer of tomato slices. 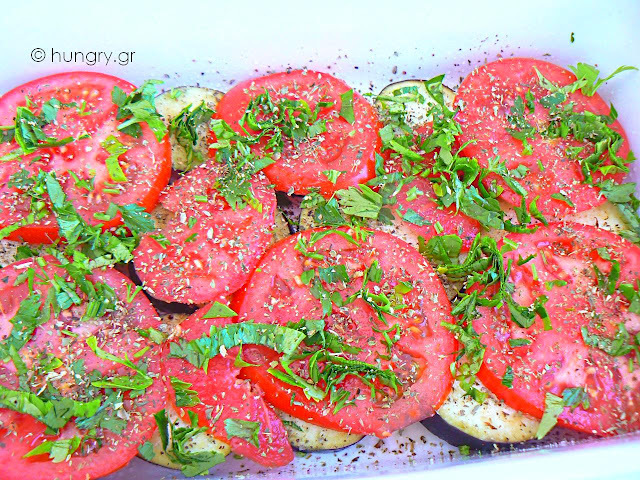 Sprinkle with half the olive oil and sprinkle the parsley, salt, pepper and oregano. 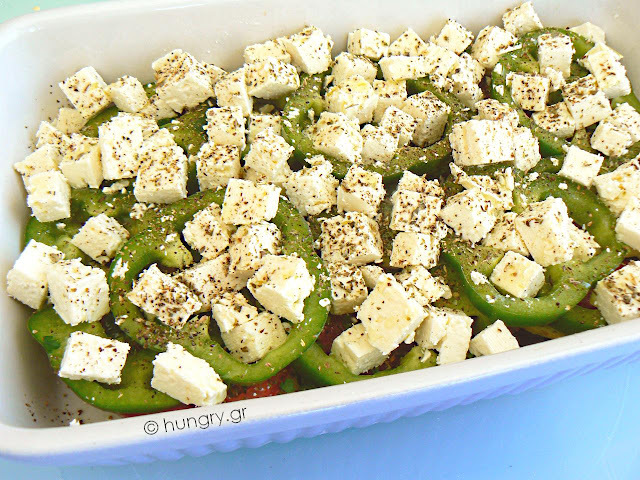 Continue placing the pepper slices and crumbled feta cheese. 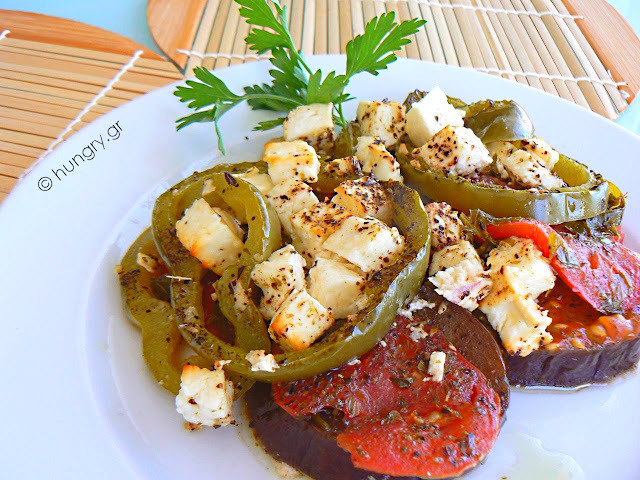 Pour the remaining oil over the entire surface of the vegetables and sprinkle with pepper and oregano. Cover the pan with foil and bake at 190°C/ 375°F/ Gas 5 for 35' - 45'. In the last 10' remove the foil to brown the food. If you want a lenten food, don't add cheese. 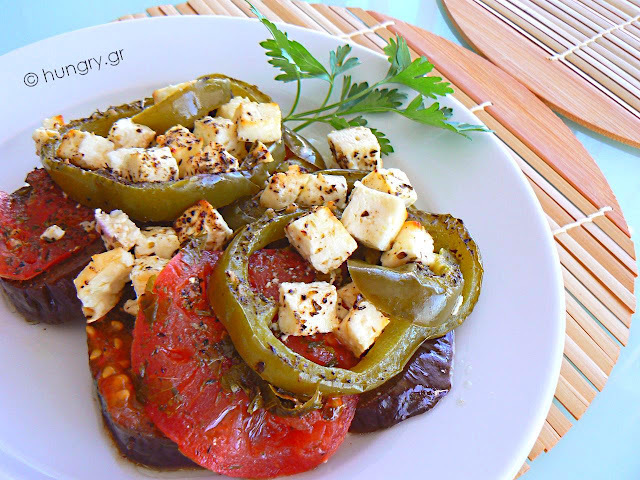 A different way to enjoy stuffed peppers with rice, cheese and fresh mushrooms. Choose beautiful, colorful peppers, juicy flesh and bright colors. The yellow and orange are generally sweeter, with a thinner skin and soft flesh. Prepare and enjoy a healthy dish for a light meal.